Wooden, Aluminium or uPVC doors and windows? Advice on comparing wood, aluminium and uPVC windows and doors. Invaluable information on making the choice when it comes to the decision. Be informed, and ask us for more information if needed! Deciding which medium to use when it comes to windows and doors needn’t be confusing. 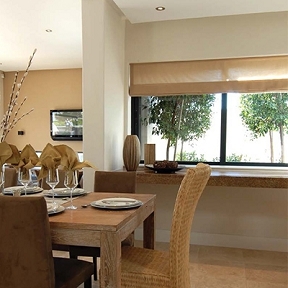 In South Africa, we currently have the choice of wood, aluminium and uPVC. All three of these have benefits that one needs to consider but, ultimately, it comes down to personal taste, fenestration and budget. If you are having trouble deciding, have a look at the pros and cons of wood, aluminium and uPVC below to help you make an informed choice. 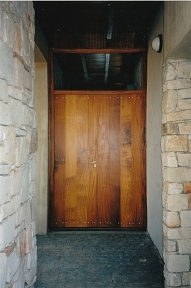 Wooden windows and doors offer warmth and beauty. As with most natural elements used in building our homes, wood requires attention and care. If treated correctly, wood will last for many years. It is very important to ensure that your wooden windows and doors are sealed with the correct product, in the correct manner, BEFORE installation. Paying attention to this detail will ensure that your wooden windows and doors last and last. Windows made from quality timbers by specialist joineries are hard to beat on most levels. uPVC (unplasticised polyvinyl chloride) is relatively new to the South African building industry as a material for windows and doors, but has been used in Europe for many years. The energy rating when using uPVC is very advantageous and it has excellent insulating qualities - particularly in acoustic environments. At the moment, painted uPVC windows and doors are expensive in SA but, if you are choosing white for your windows and doors, this will be very competitive if comparing like with like (same sections, hardware choice and quality) to wood and aluminium. uPVC has excellent insulation properties resulting in high energy efficiency. uPVC windows and doors come in many attractive designs. At the moment, uPVC windows and doors are seen to be more expensive than wood and aluminium in South Africa, since the way these products are compared by the layman is usually flawed. There are more cost effective rranges available, and these offer a reasonable alternative. Painting of uPVC window and door frames pushes the price up considerably. For this reason, customers are limited to white if they choose uPVC. 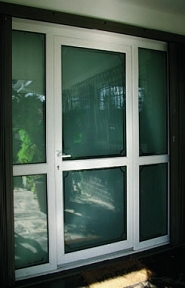 There are size limitations to uPVC windows and doors. They are less customisable than wood and aluminium windows and doors, but offer options not available in aluminium, such as french windows with no vertical mullions to break the view once open. In summary, your final choice, when selecting windows and doors should be made with personal taste in mind. Wood, aluminium and uPVC options all have pros and cons, so the priority would be to select a quality product and an experienced installer.